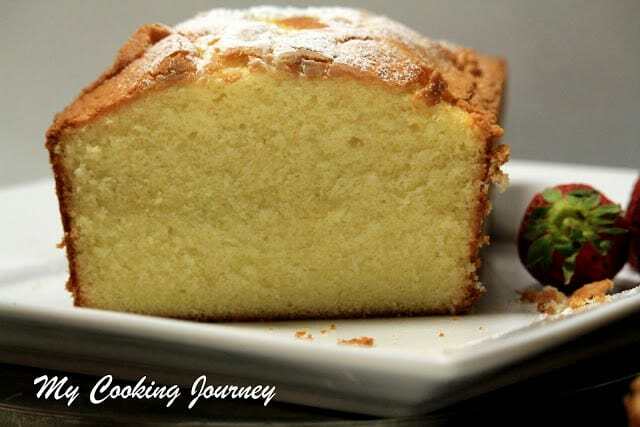 Pound cake refers to any type of cake that is made with a pound of four ingredients; flour, butter, sugar and eggs. 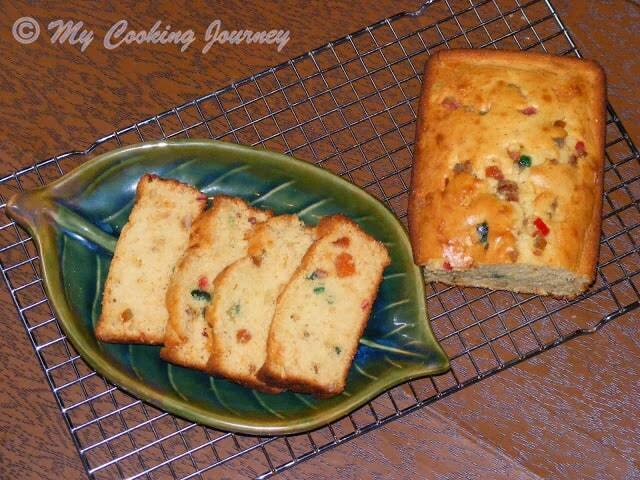 I love pound cake and I have to say maybe this is the only kind of cake that I relish and eat. 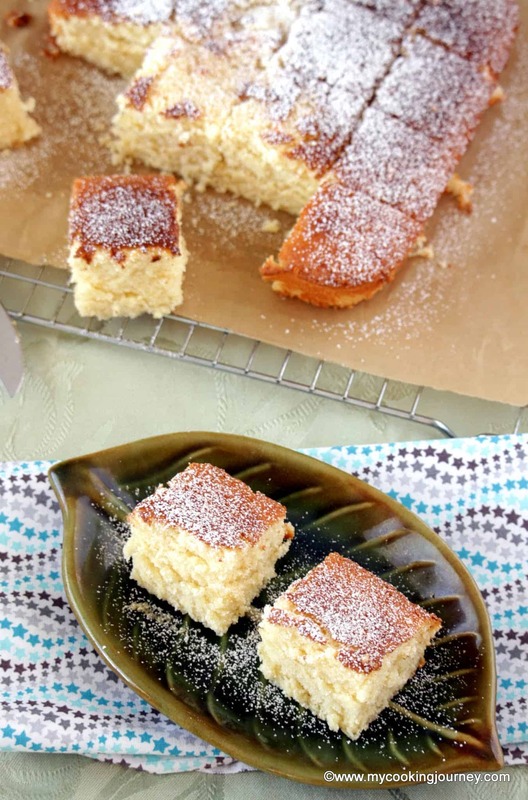 In the past, I have made several vanilla cakes, but have never achieved this texture. 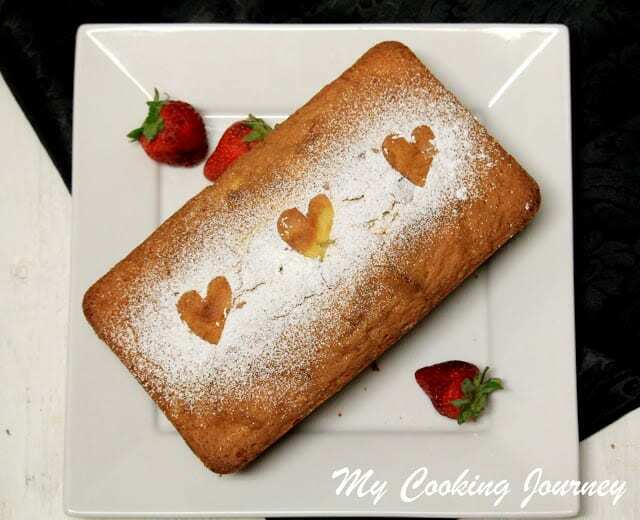 I have to thank Swathi for choosing this cake as our Baking Partner’s bake of the month. 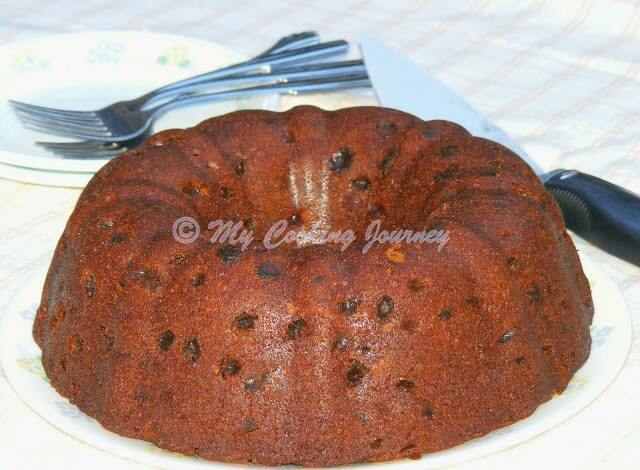 Growing up, I used to buy this cake from Adayar Bakery. It was quite expensive those days and I used to wait for special occasions to buy it. My grandmother also loves this cake and she was my excuse to always buy the cake so we can both enjoy it together. 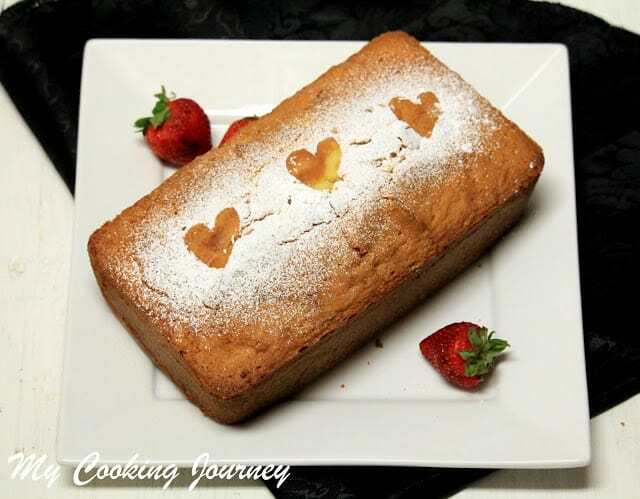 When I made this pound cake, I was thinking so much of her and I called her to tell that I have nailed the recipe. Her immediate response was asking me to come to India and making it for her. 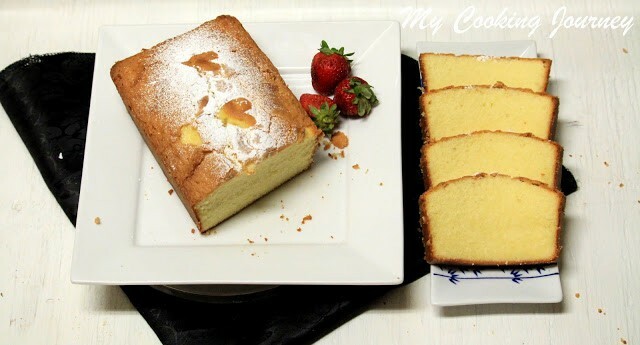 The pound cake is made typically in a Bundt pan or a loaf pan. I halved the recipe and used a standard loaf pan to bake this. 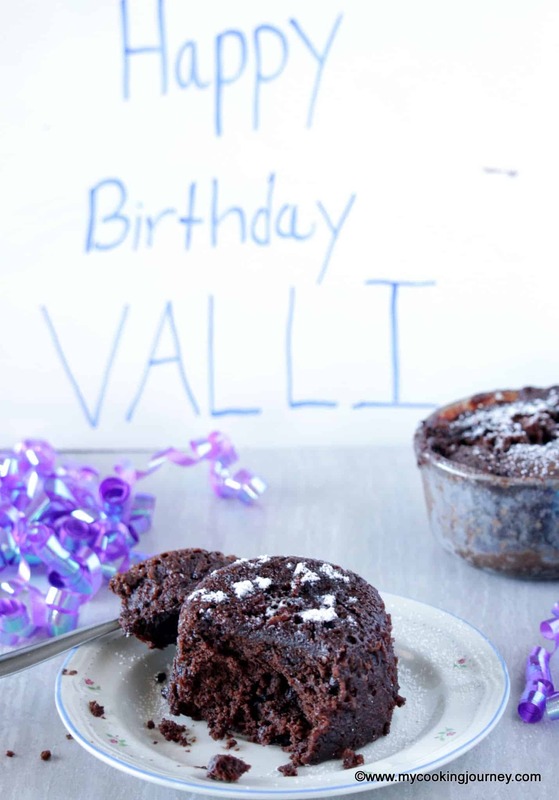 Swathi had mentioned that this cake was the favorite of Elvis Presley and his friend used to bake it for him every year during Christmas. 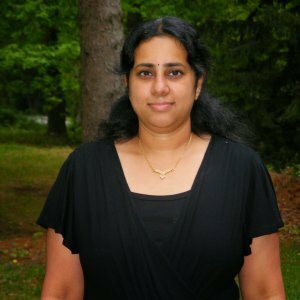 She gave the recipe to a newspaper at Elvis’s 10th death anniversary and that is where Swathi chose the recipe from. 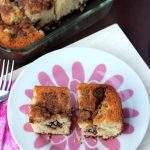 She had modified the recipe by increasing the vanilla extract and also reduced the sugar. 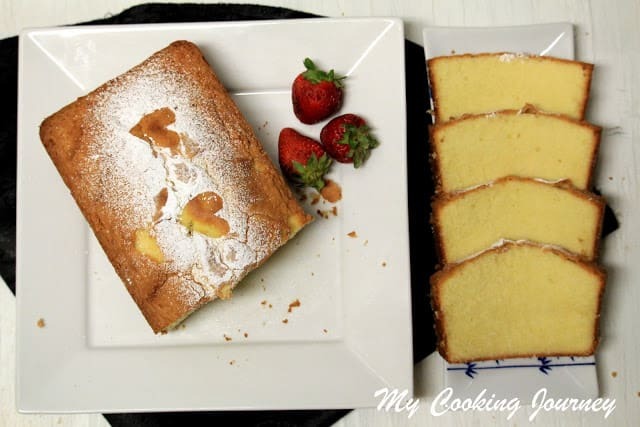 Apart from all the ingredients that the pound cake needs, this recipe also had the heavy cream which did wonders to the flavor of the cake. 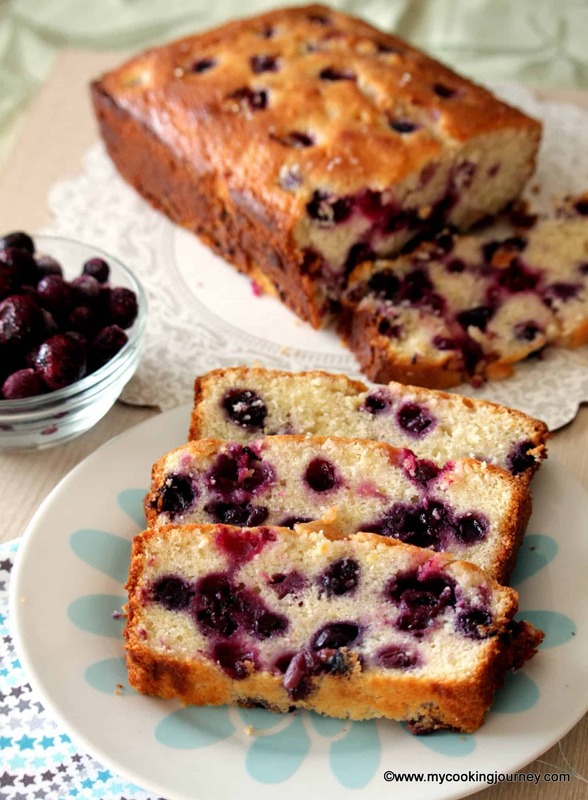 The cake was so rich that it did not need any topping to go with it. I dusted it slightly with some powdered sugar just for decoration. 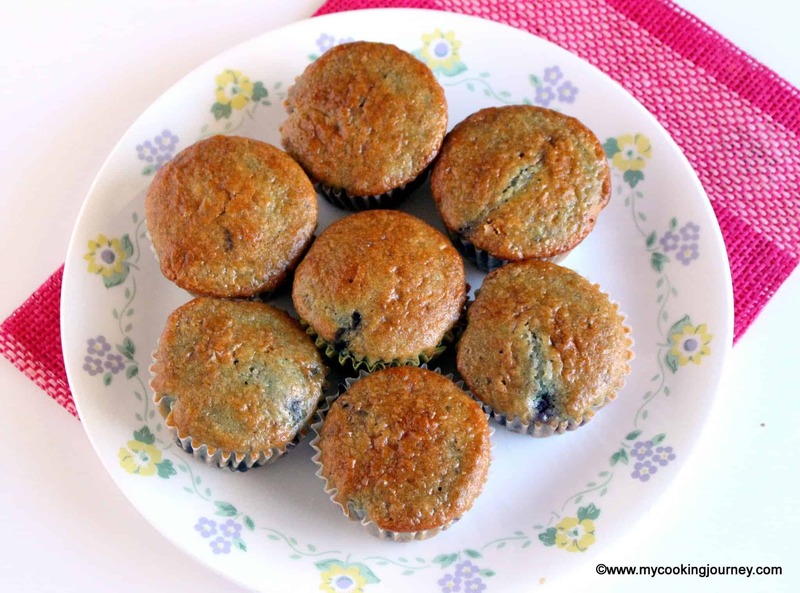 I used store bought cake flour as I had some in hand, but it is very easy to make your own. Use 2 tbsp of corn starch in a measuring cup and then add all purpose flour to fill the cup. Now mix it up well and sift to combine. 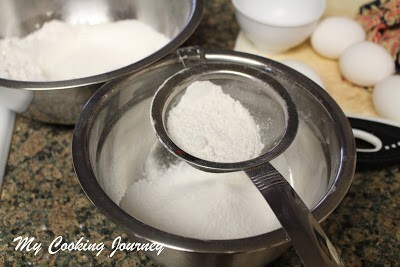 Same way add 1 tbsp of corn starch to ½ cup measuring cup and then fill the remaining with all purpose flour. The flours have to be sifted at least 5 times to ensure proper mixing. 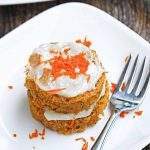 If using store bought cake flour, you will need to sift it 3 times. Also add the salt to the flour when sifting. Keep this aside. 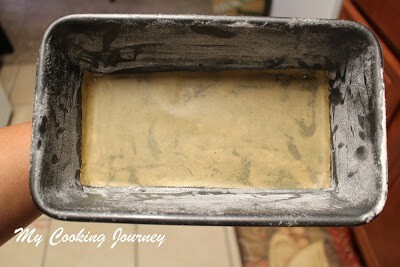 Butter the loaf pan liberally and then dust flour all over it. Shake off the excess flour and line the bottom of the pan with parchment paper. 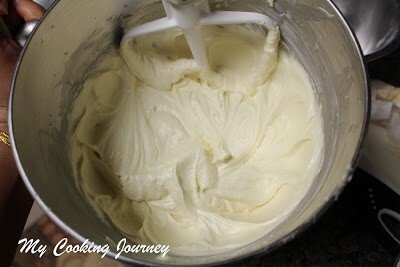 Fit the stand mixer with the paddle attachment and beat the butter and sugar until pale and fluffy (about 5 minutes). You could also use a hand mixer to beat. Add the eggs one at a time and beat well after each addition. For half an egg, beat the whole egg in a bowl and use half of it. 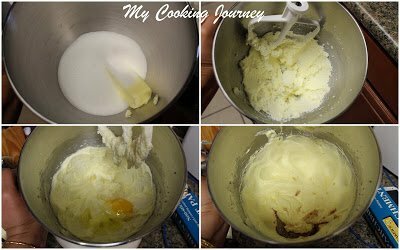 Add the vanilla and continuing mixing. Reduce the speed of the mixer and add half the flour mixture. Next add the cream and then the remaining flour. Mix well after adding each ingredient. Scrape down the bowl and continuing beating in medium speed for about 5 minutes. 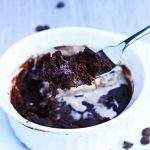 You will notice that the batter becomes very creamy and fluffy after 5 minutes. Transfer the batter to the prepared pan and tap the pan couple of times to release any trapped air. Place the pan in the cold oven. DO NOT PREHEAT THE OVEN. Turn on the oven to 350 F and bake until golden brown. It took me about 55 minutes. Make sure that you keep checking after 50 minutes as each oven is different and the baking time may vary. 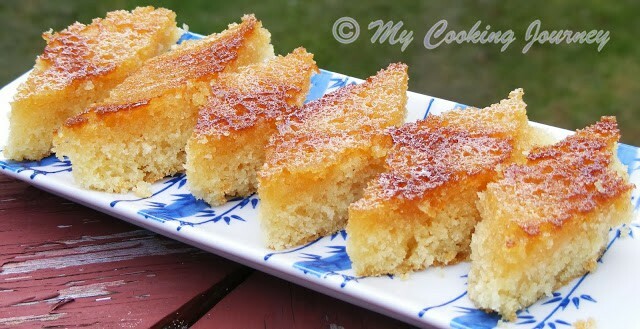 Insert a toothpick and ensure that it comes out clean with few crumbs attached. 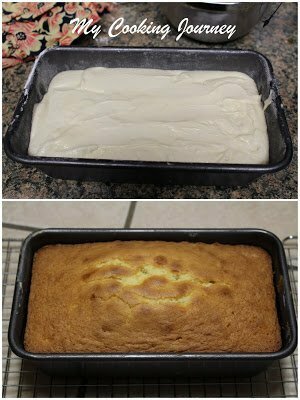 Cool the cake in the pan on a cooling rack for about 30 minutes. Gently run the knife along the edge of the pan and then invert it on the rack. Let it cool completely before slicing.